I’ll go into the bushes over there, make a lot of noise, and flush out a rabbit. When he comes out, you step on him. 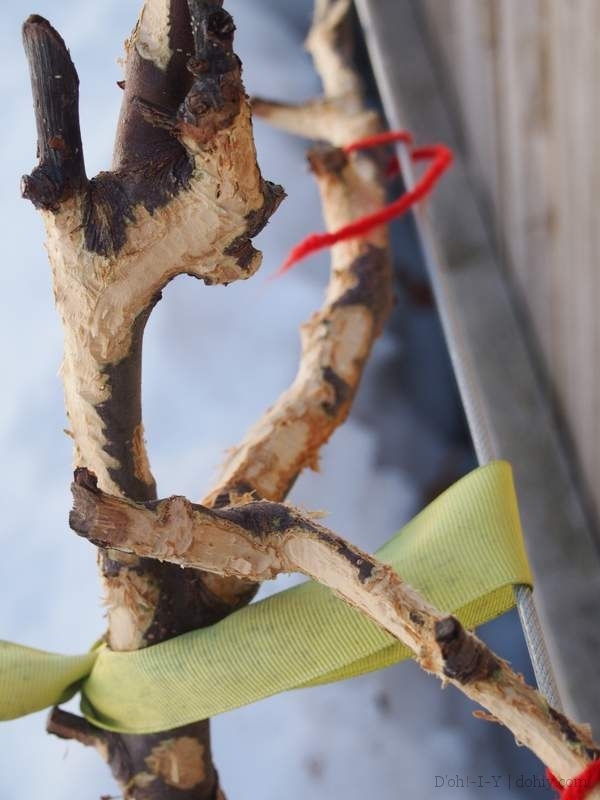 Last year, I wrapped up my baby espalier apple trees to an excessive extent to avoid rabbit damage. I made fun of myself when I posted about it. I thought I’d gone off the deep end, but I had lost a full year of growth the prior winter. I completely encased the smaller trees, but I left the higher growth unwrapped on two of the bigger ones. It turns out, that was a mistake. I should have gone every bit as wrap-happy on these trees as well. Look what those damned rabbits did to my trees. Judging by all the rabbit poop around this area, the little devils have been stretching up on their back legs to chew even these relatively high branches. I’m just sick about it. These two trees weren’t damaged last winter, so they were further along than the others. The first cordon (tier) was grown in on both of them, and the trees were up to the second cordon level. I was going to start training the second cordon this spring. 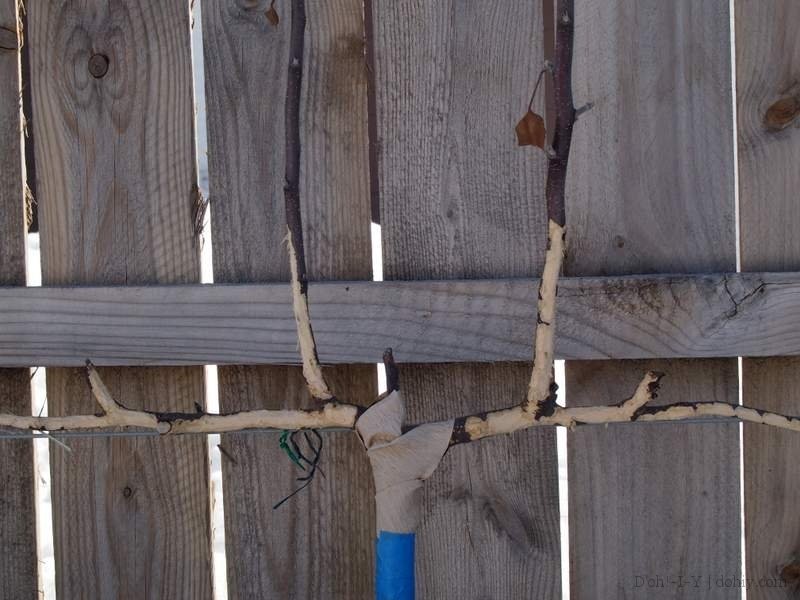 Espalier is an exercise in patience under normal circumstances. 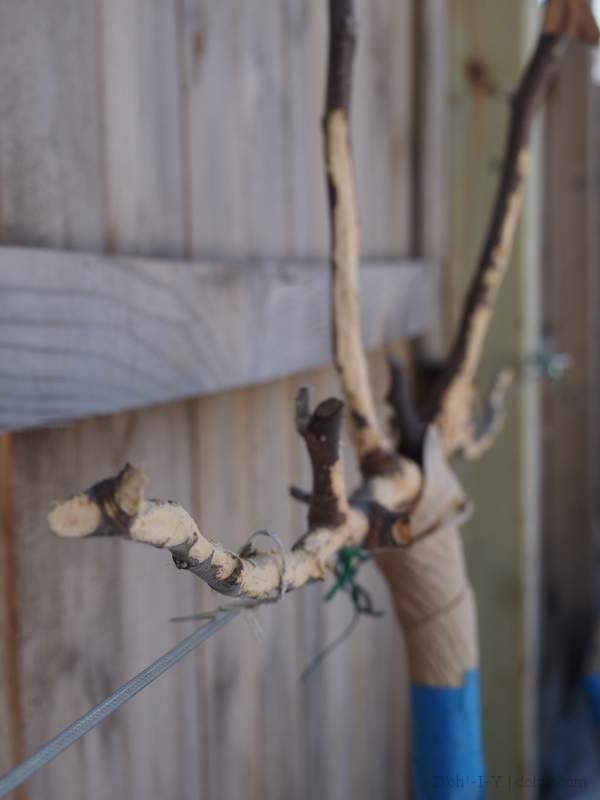 These trees aren’t dead (necessarily) — if trimmed back to the trunk, they should put out new shoots. In two more years, that first cordon will be grown out again. I understand that rabbits just want to be alive and food is scarce over the winter. That didn’t stop me charging full tilt toward a rabbit sitting on the driveway the other night. It started to run and then froze in the headlights. And I braked. BECAUSE I’M WEAK. 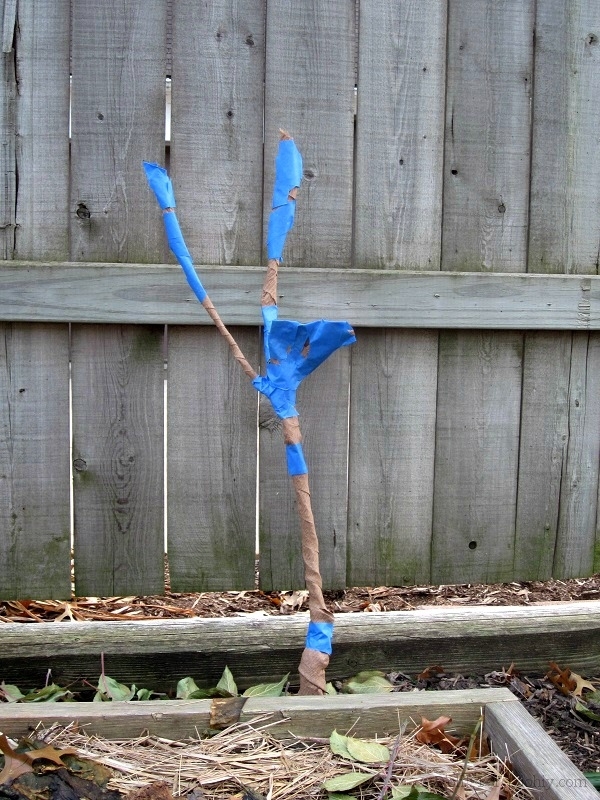 Maybe I’m not tough enough to espalier. Anyone had any luck with live traps and relocation? 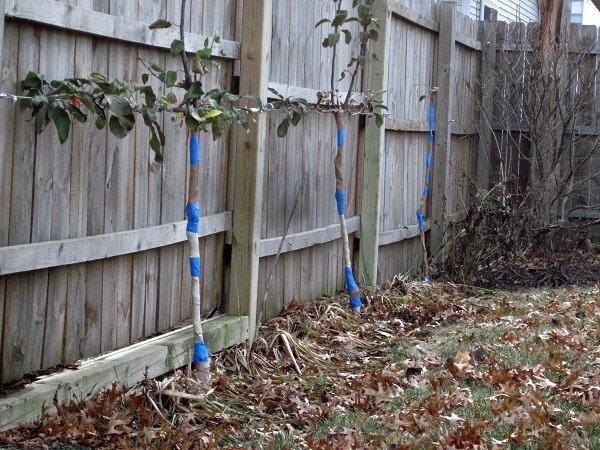 This entry was posted in D'oh!, Yard & Garden and tagged espalier over winter, protecting espaliered trees from rabbit damage, rabbit damage on espalier, wrapping espalier trees for winter. Bookmark the permalink.